I used to walk every single morning before I had Aïcha, and I’ve slowly started walking again. 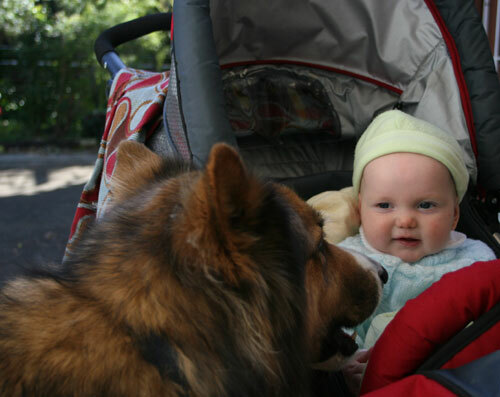 I often walk the dog and the pram at the same time. Misty has learned this and gets very excited as soon as I start moving the pram around. I dress Aisha up very warmly for our walks on chilly mornings. I'm pleased that she loves the dog.